—(USMC photo by Corporal Clayton Filipowicz). By now you've likely heard some new terminologies from your recruit or through reading information about the Marine Corps. While trying to get yourself wrapped around the meanings of some of these new terms, you may be seeing the same theme throughout, but you've not really been successful at labeling that term. "Semper Fidelis" is Latin for "Always Faithful". Along with the shortened version, Semper Fi, these two phrases have been adopted as a Marine Corps slogan that is carried with all Marines for the rest of their lives. A Marine will always be a Marine; there are no ex-Marines. Every Marine, whether serving four years or 34 years in the Corps, will remain "Always Faithful" to the Marine Corps and the core values of honor, courage and commitment. Esprit de Corps is the attitude a recruit will learn that he or she is no longer an individual but part of a team or unit with a strong commitment to the honor of the group. A Marine does what they do for the betterment of the unit, not for themselves. Your recruit is becoming part of something bigger than him or herself and will be serving that mission above and beyond any personal agenda. Recruits become Marines who become brothers inspiring enthusiasm and devotion to the Corps. Most of us can only stand on the sidelines and watch the transformation from recruit to Marine. Unless you have become a Marine through the grit and tough training of boot camp, you cannot possibly fully comprehend Esprit de Corps and the Core Values. However, you will come to understand that these new philosophies are not easily achieved and therefore command the greatest respect from those of us on the sidelines. 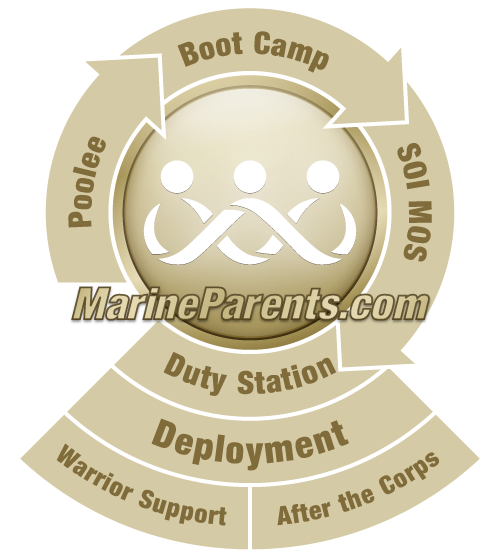 Just as your recruit son or daughter's family has grown, encompassing hundreds of new soon-to-be-Marines while in recruit training, your family is growing too. There are families across America who are standing proudly behind their recruit, watching and learning right along with them, as these young men and women succeed in their journey to become a United States Marine. Those families understand that Corps Respect can and should embrace every member of the family, not just your newly minted Marine. The Core Values and Esprit de Corps belong to your Marine, but Corps Respect will now become part of your family values. 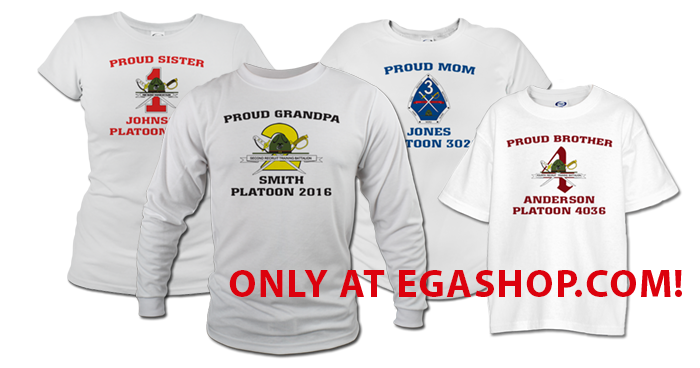 Stand tall and take pride in knowing that your son or daughter is one of The Few, The Proud. Stand tall with your family to share in the newfound Corps Respect!